In the morning Peter and Margie went for a walk while we made the most of the campsite facilities and had showers followed by a cooked breakfast in the camp kitchen. It was very well set up with individual workstations and communal tables. The kitchen also had internet access so we made use of it and called the boys on skype. Peter and Margie returned with tales of their walk along with an invitation to lunch with some local people. 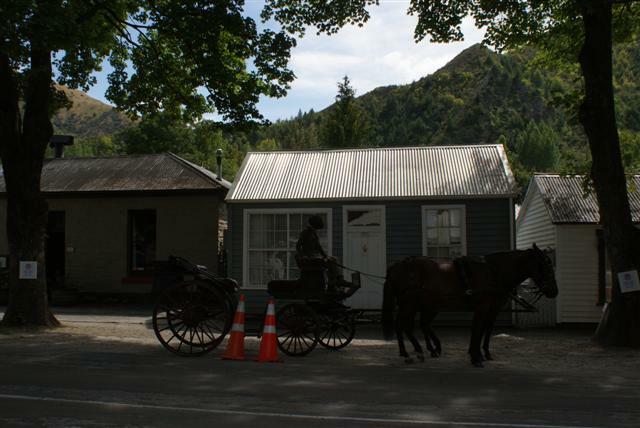 We packed up and had a look around Arrowtown in the morning. 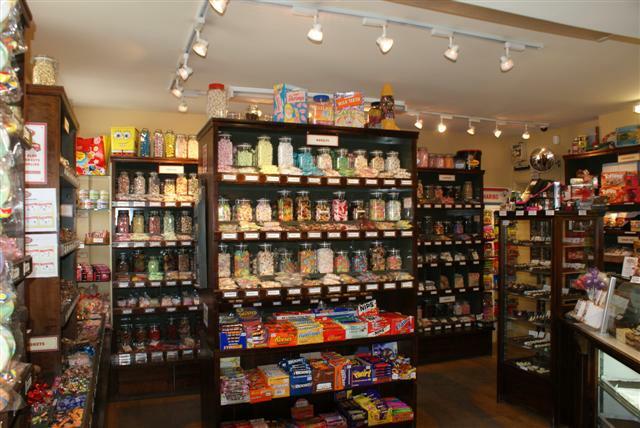 A really good shop ….. I really liked Arrowtown, I could live in Arrowtown, with its stone cottages and non-native trees like oak and sycamore, it felt very homely. 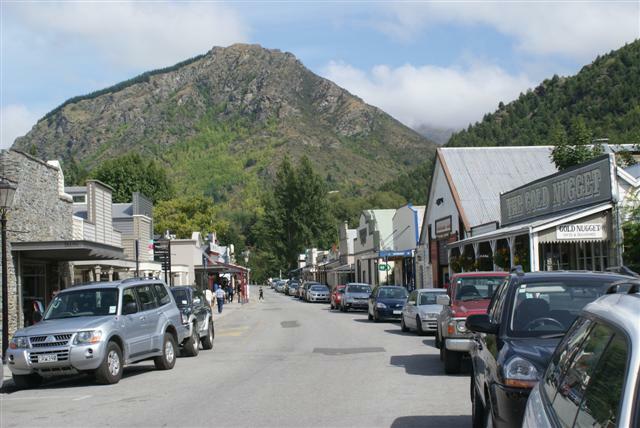 The main shopping street of this charming old gold-mining town is delightful to stroll along. 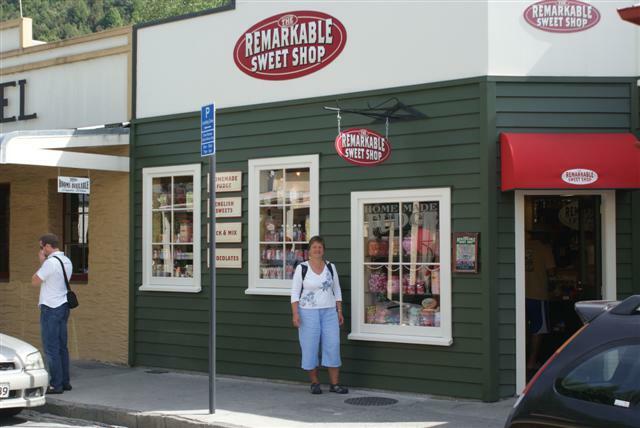 The town still retains much of its original character, with many of its old shops still in use today. Needless to say this was one of my favourite shops. We spent a sunny morning wandering around the local farmers market (delicious cherries) and in and out of the shops but sadly not enough time again. 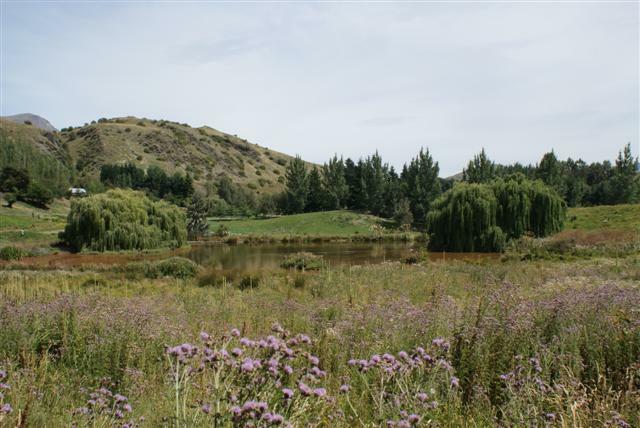 We drove to outskirts of Arrowtown to meet Peters new friends Sue and Toddy. His parents had brought Toddy here when he was 8 and he’s lived here ever since. 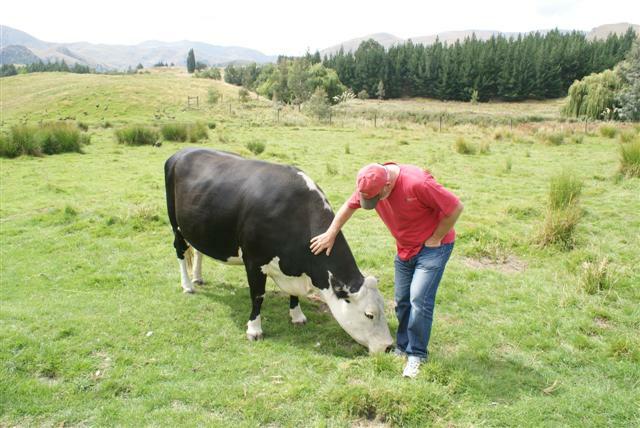 Sue was a born and bred kiwi and they were both really hospitable people. 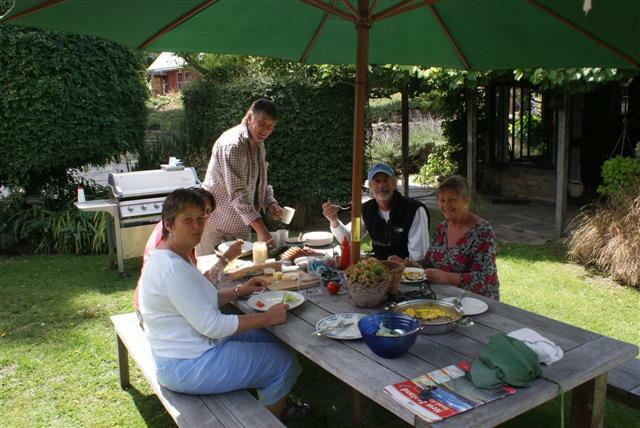 We all brought various things to the table and had a delicious lunch. Afterwards they walked us around their 20acre ‘hobby’ farm showing us their pigs, cows and market garden and the most fabulous views across to the Remarkables range. 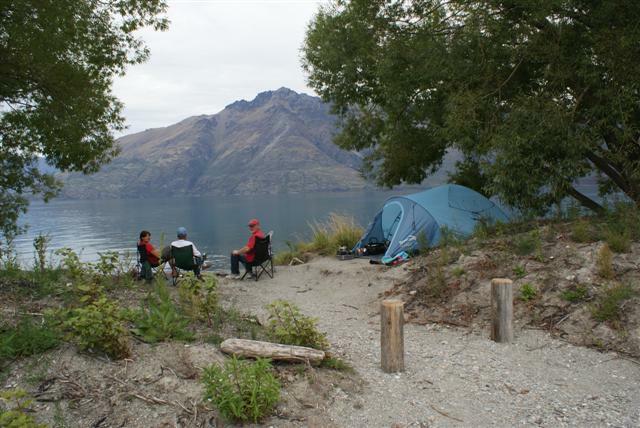 Afterwards we continued the short drive into Queenstown and camped just outside the town next to Lake Wakatipu, the South Islands largest lake. It was an amazing spot. Peter and Margie were parked just behind us. The ranger later told us that we shouldn’t be that close to the water but he let us stay and we had a peaceful night. Posted on February 11, 2011, in Port posts. Bookmark the permalink. Leave a comment.